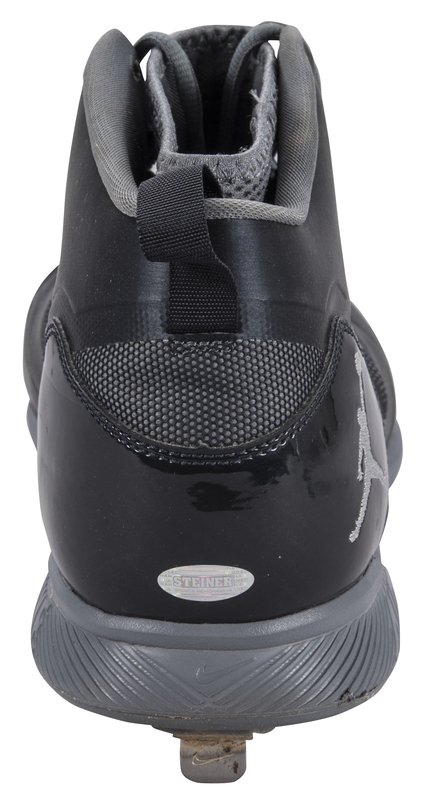 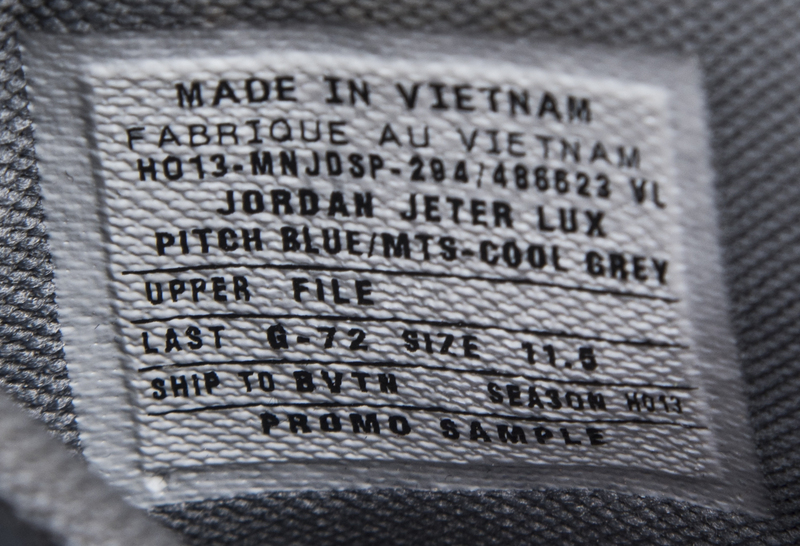 Yankees shortstop Derek Jeter wore this Jordan Jeter Lux Metal right cleat during the 2014 MLB season. 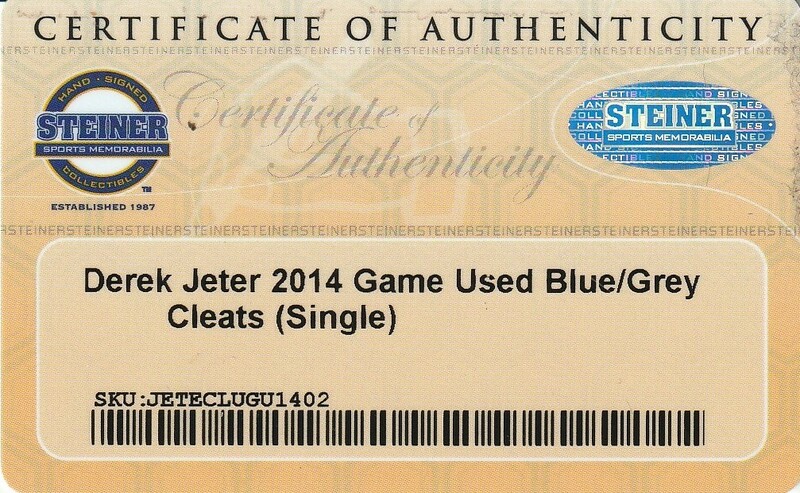 This was Jeter’s final major league campaign, and the five-time World Series champion a Triple Crown slash line of .256/4/50 for the 84-win Yankees. 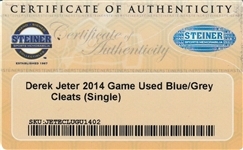 Jeter made his 14th career All-Star team in 2014 and collected the final 149 of his 3,465 career hits. 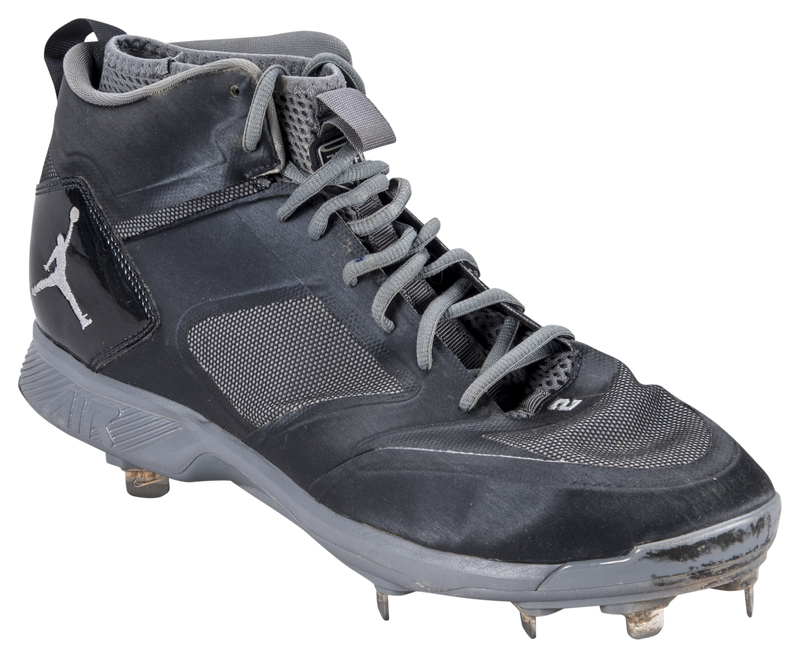 This cleat is navy, with a Jordan “Jumpman” logo embroidered on the outside of the heel in gray. 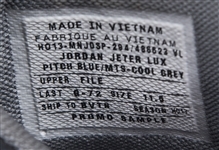 Jeter’s number “2”, now retired by the Yankees, is applied to the toe and a “Jeter” tag is applied to the tongue. 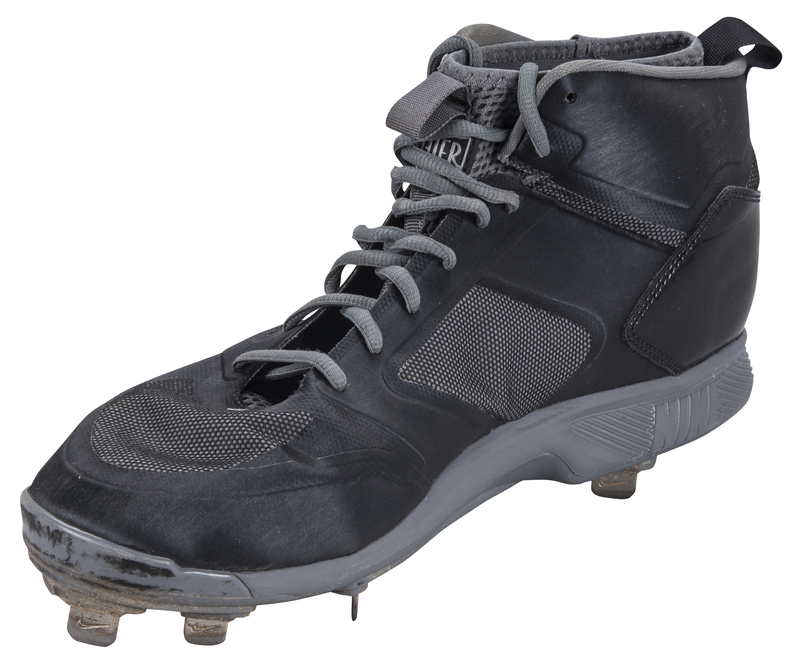 A gray-mesh sock-like lining is present inside this size 11.5 right cleat. Nine metal spikes are present on the sole of this cleat. 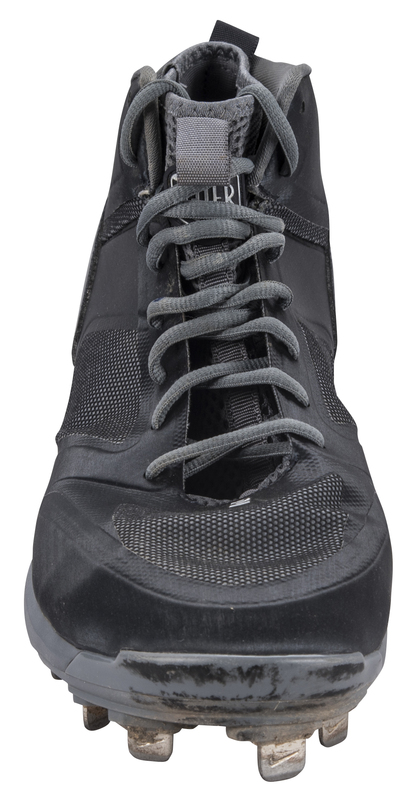 This shoe comes with a COA from Steiner Sports.